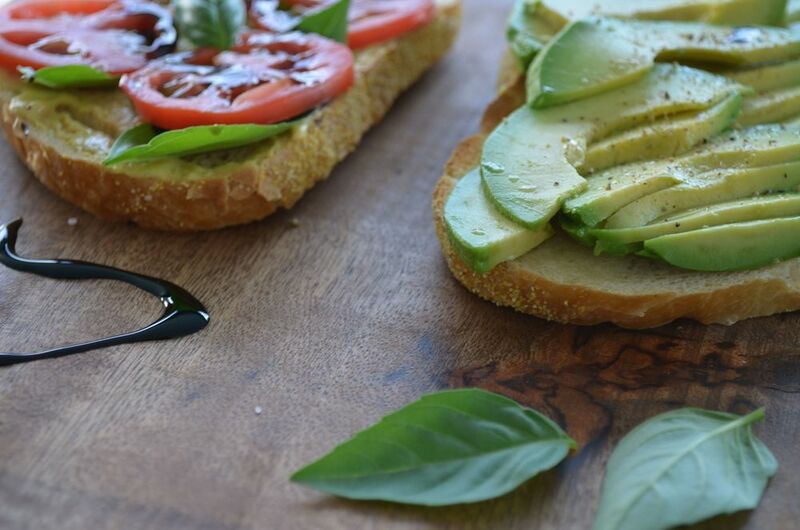 It's Mama's "California Avocado, Basil Sandwich with Balsamic Drizzle". It's fast, fresh, simple, delicious. What more could you ask for (one million $$)? I've been eating this thing since the 6th grade. Get your kids hooked on it, like my mom did. Eat it while the bread is still warm from being toasted. You can find a ready made Balsamic Glaze (reduction) in the vinegar section of your market. It's inexpensive and readily available. You can also make your own by heating the vinegar over the stove until it reduces.